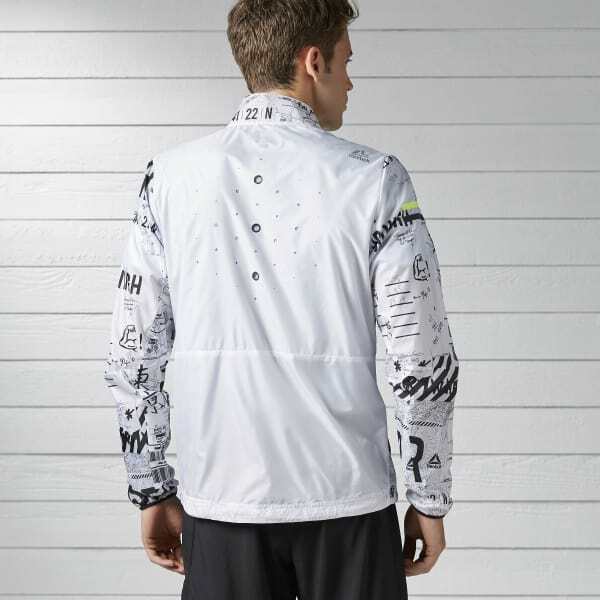 Put the run in runway with this sleek running wind breaker. Bold graphics on the front and sleeves draw eyes as you fly down the street. This jacket is as stacked with tech as it is with style. Laser perforations let air flow as you pound the pavement and 360 degree reflectivity ensures you'll be seen even in low-light.